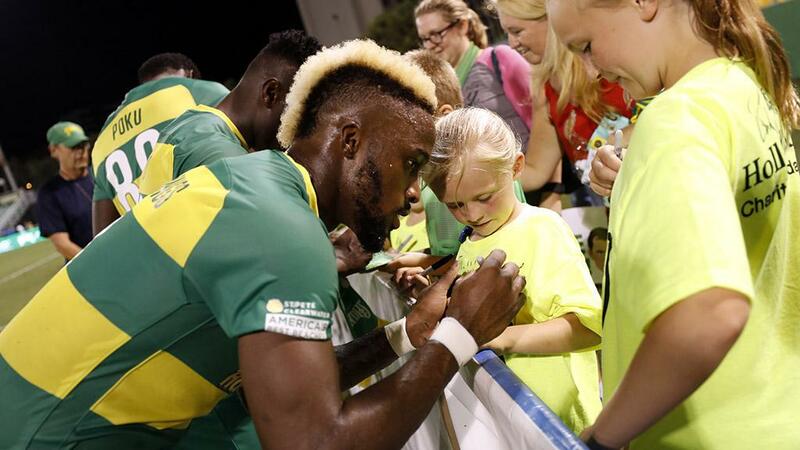 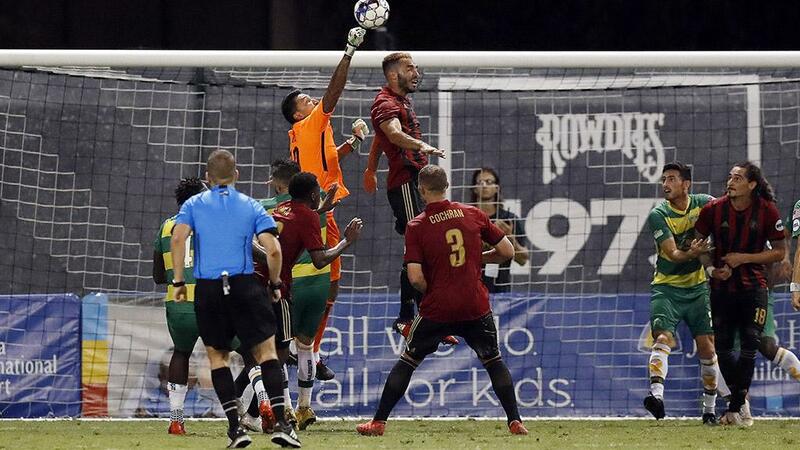 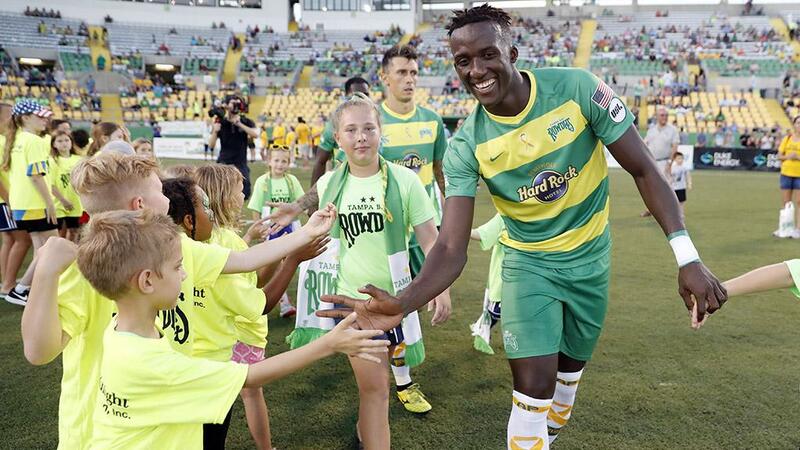 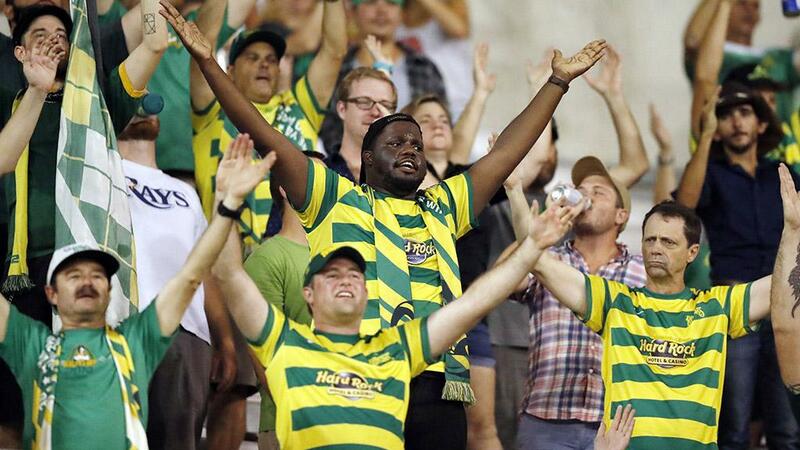 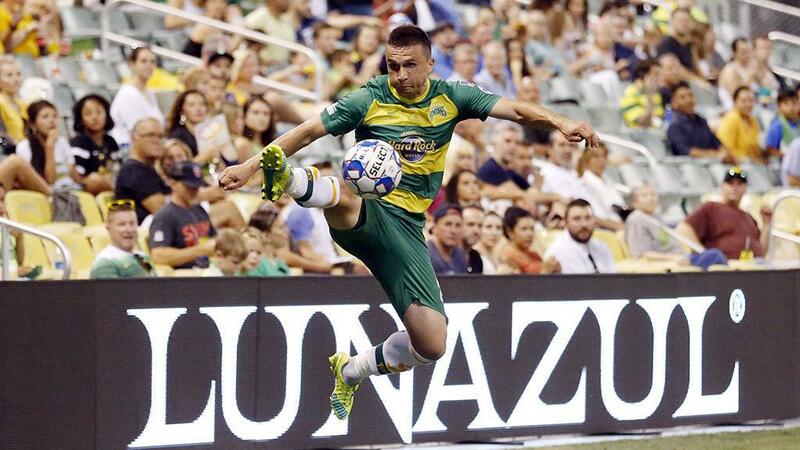 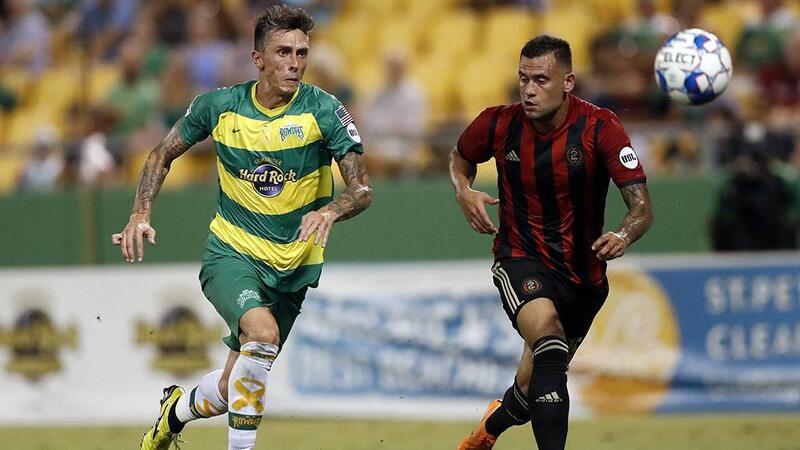 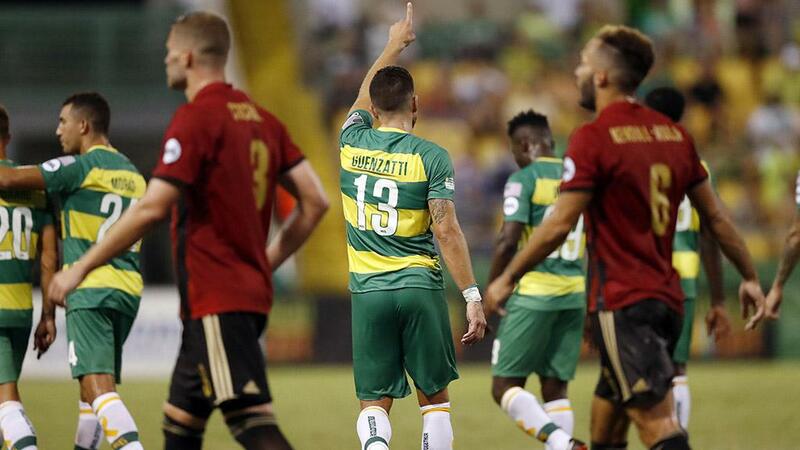 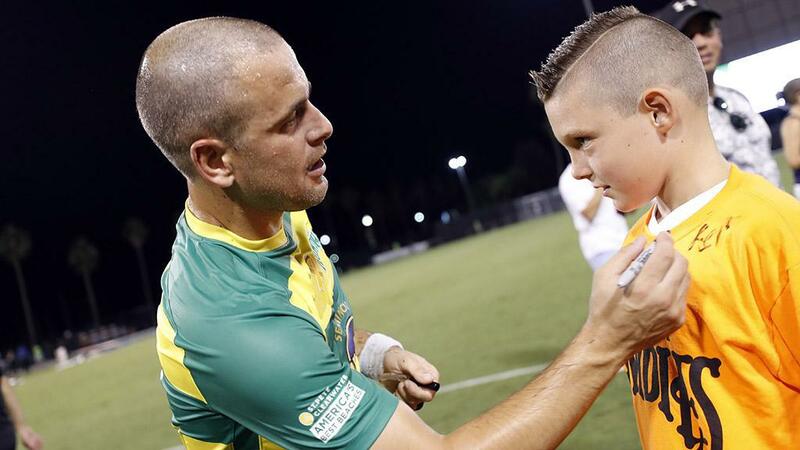 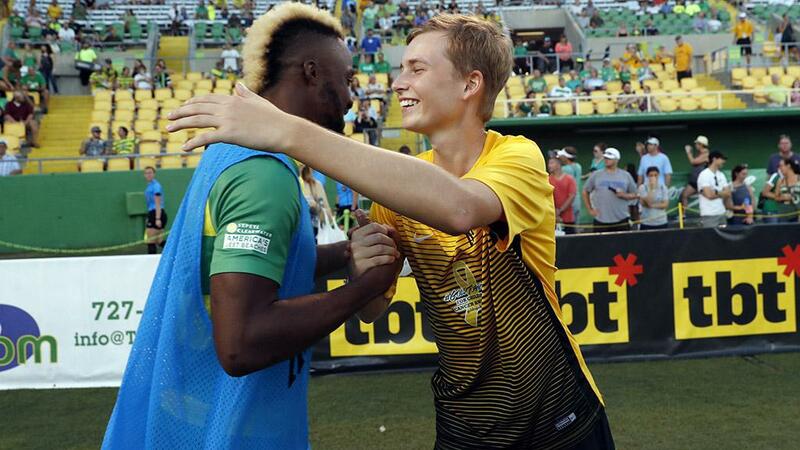 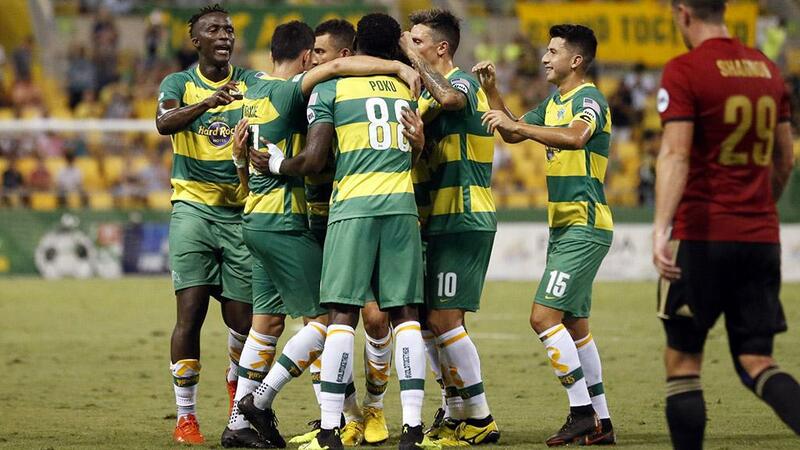 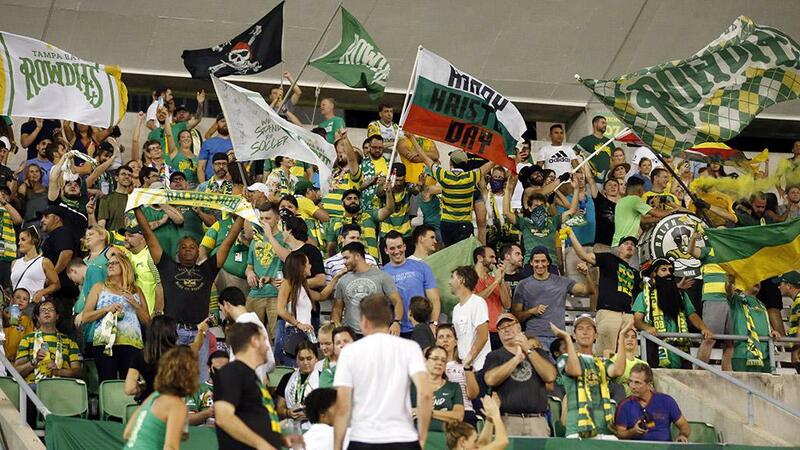 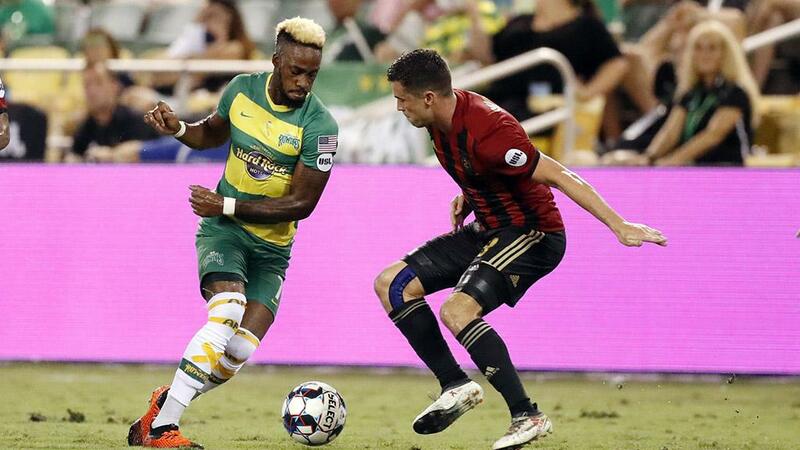 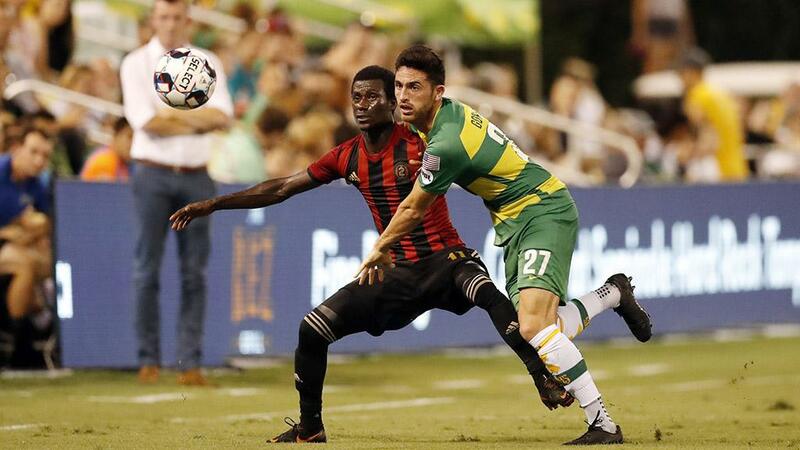 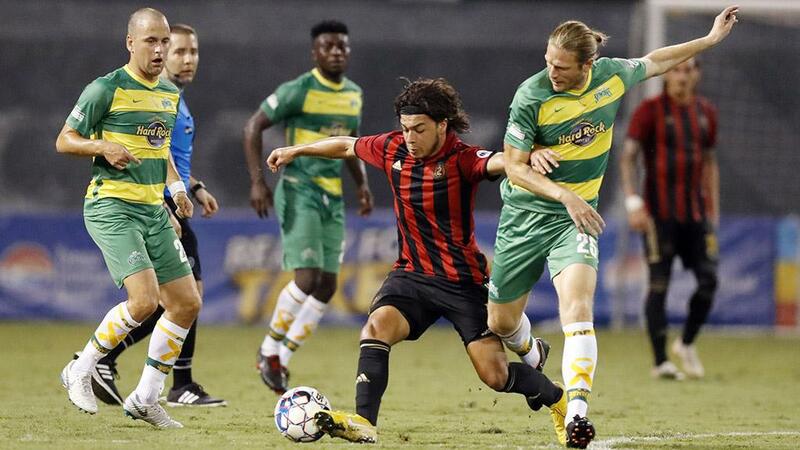 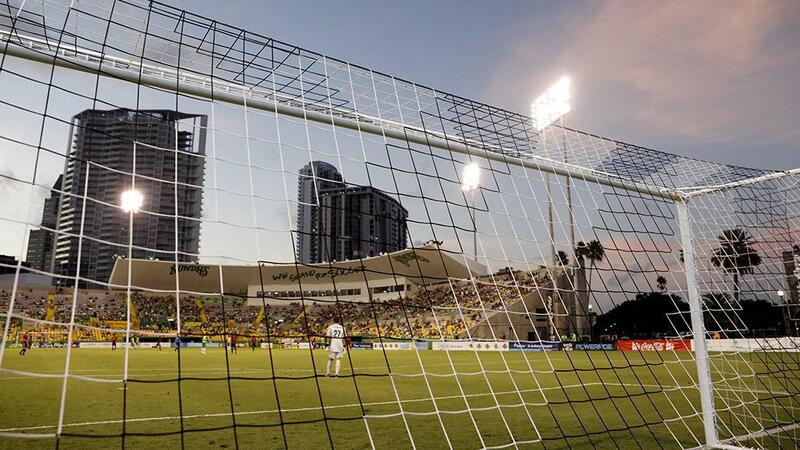 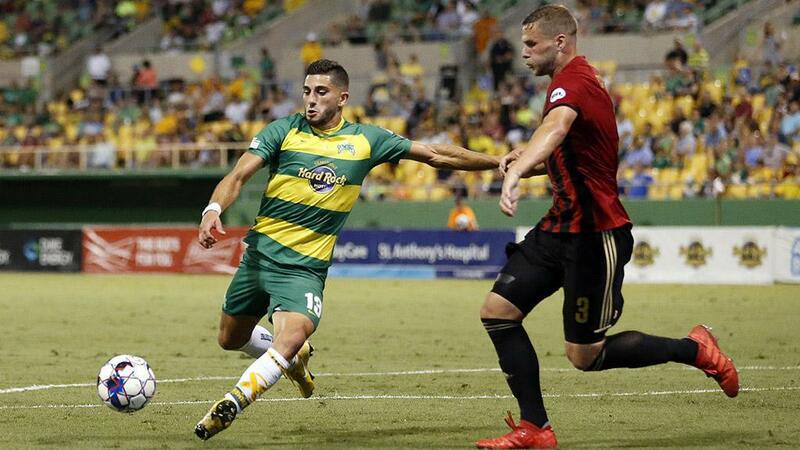 ST. PETERSBURG, Fla. – The Tampa Bay Rowdies boosted their playoff hopes on Saturday night with a 1-0 victory against ATL UTD 2 at Al Lang Stadium, but the more than 6,000 fans at Al Lang Stadium were also on hand to be part of the club’s first #GoldTogether night in September in support of National Childhood Cancer Awareness Month. 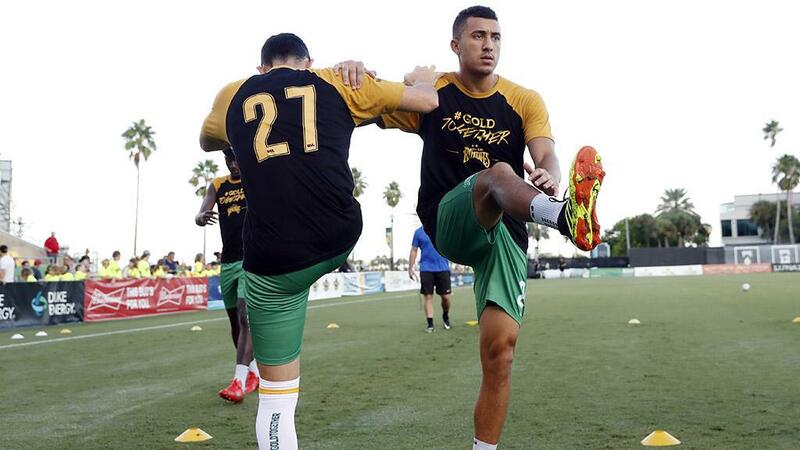 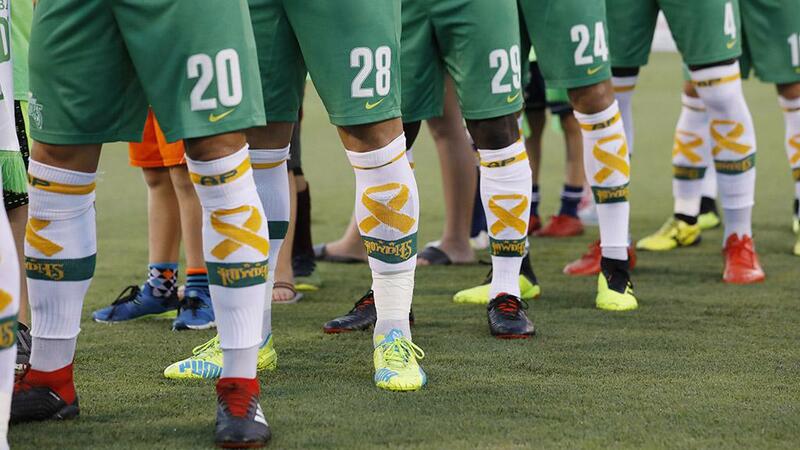 With the Rowdies’ players wearing custom #GoldTogether socks that were co-designed by Rowdies forward Georgi Hristov, Rowdies defender Hunter Gorskie and 7-year-old pediatric cancer fighter Amelia “Mila” Peace, the team announced donations to Benjamin Gilkey Fund for Innovative Pediatric Cancer Research at Johns Hopkins All Children’s Hospital as the side notched $1,000 for Sebastian Guenzatti’s goal and another $1,000 for Daniel Vega’s shutout. 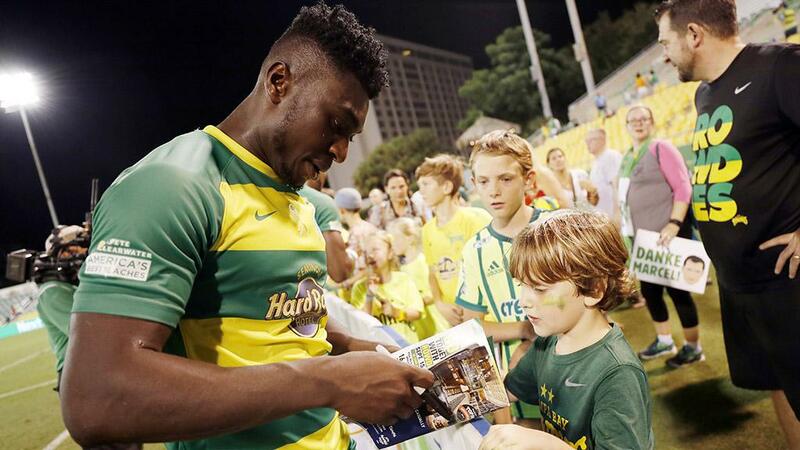 Here are some of the sights and sounds from downtown St. Petersburg on Saturday night. 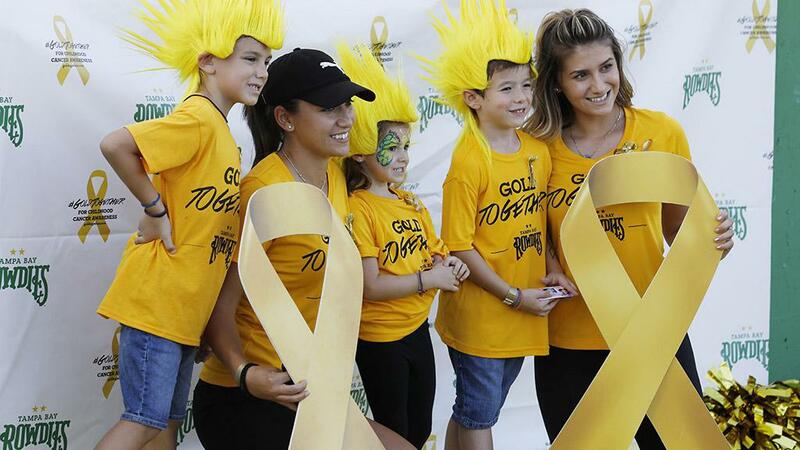 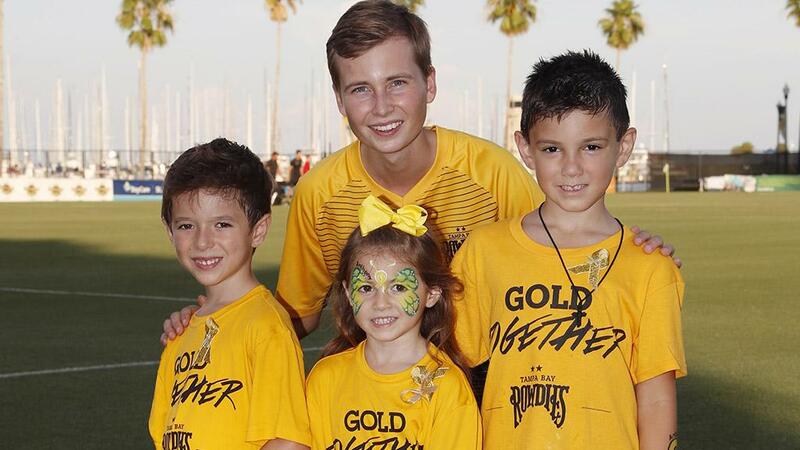 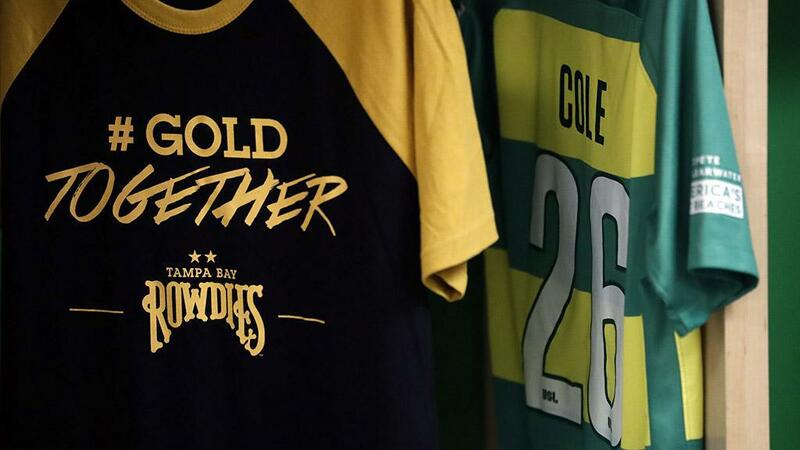 The Tampa Bay Rowdies hosted the first of their #GoldTogether contests in September when ATL UTD 2 visited Al Lang Stadium as the club raised money once again for National Childhood Cancer Awareness Month.